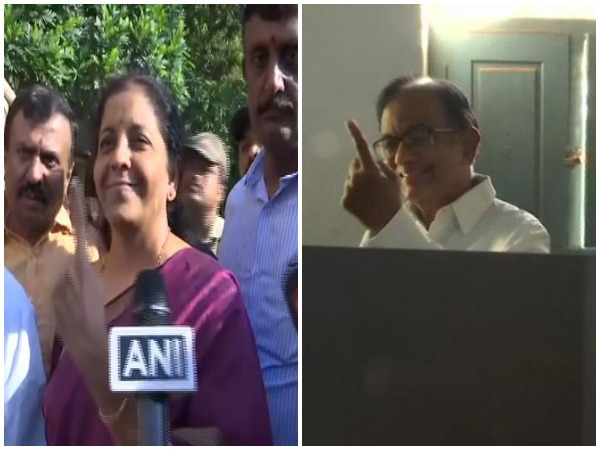 New Delhi (India), Apr 18 (ANI): As the second phase of polling commenced on Thursday amid heightened security, political bigwigs came out to cast their votes for constituting the 17th Lok Sabha. Chennai (Tamil Nadu) [India], Apr 9 (ANI): Actor-turned-politician Rajinikanth on Tuesday said he welcomed the BJP manifesto promise to undertake linking of India's rivers. Chennai (Tamil Nadu) [India], Feb 22 (ANI): Superstar Rajinikanth on Friday paid a courtesy visit to actor-turned-politician Vijayakanth, who returned to India last week, following a recent medical treatment in the US. The meeting took place in Vijayakanth's residence in Chennai. 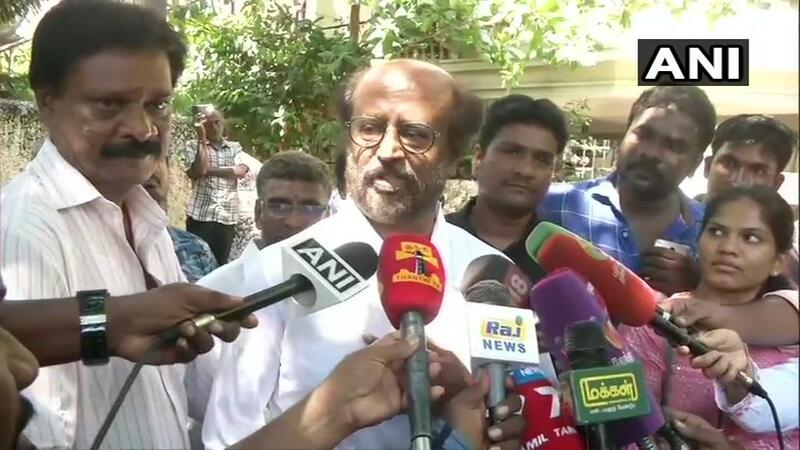 Chennai (Tamil Nadu) [India], Feb 17 (ANI): Actor-turned-politician Rajinikanth on Sunday confirmed that his party will not contest the upcoming Lok Sabha elections. Chennai (Tamil Nadu) [India], Feb 11 (ANI): Rajinikath's daughter Soundarya and Vishagan Vanangamudi are tying the knot on Monday. Chennai [Tamil Nadu], Feb 8 (ANI): Once arch rivals and now politicians, Rajinikanth and Kamal Haasan met in Chennai on Thursday. Both the actors-turned-politicians wished and hugged each other. Thirukovilur (Tamil Nadu) [India], Dec 10 (ANI): Five people were injured on Thursday when a giant cut-out of Tamil actor Ajith collapsed during the 'paal abhishekam' (pouring milk on the cut-outs) ceremony. Chennai (Tamil Nadu) [India], Jan 10 (ANI): It is no secret that Rajinikanth isn't just treated as an actor or a superstar down South. Such is the craze for the 'Thalaiva' that people go all out to shower their love on him and his films. New Delhi [India], Jan 1 (ANI): Actor Prakash Raj has announced that he will be contesting in the upcoming Lok Sabha elections as an independent candidate. Celebrities arrive for Isha Ambani's big day! Mumbai (Maharashtra) [India], Dec 12: The Night has finally arrived! Its Isha Ambani's wedding and Altamount Road is jammed with guest pouring in for the ceremony.